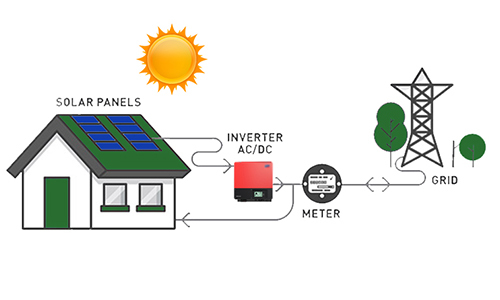 Solar PV system complements your home’s architecture while turning sunlight into electricity.With an integrated battery bank, energy collected during the day is stored and made available any time, effectively. At night, while you’re not producing solar energy, your home gets its power from battery and grid. During cloudy or rainy days, generation will be less. When you’re consuming more power than your solar is producing, you may still draw power from the grid. Power stack batteries provides backup power during utility outages Compact, Maintenance free, stackable, highly efficient and long life Power stack batteries come ready to integrate seamlessly with solar, enabling you to self-power your home. The traditional grid-tied architecture of photovoltaic systems concentrates all the electronics in the central inverter. This is the centralized approach. 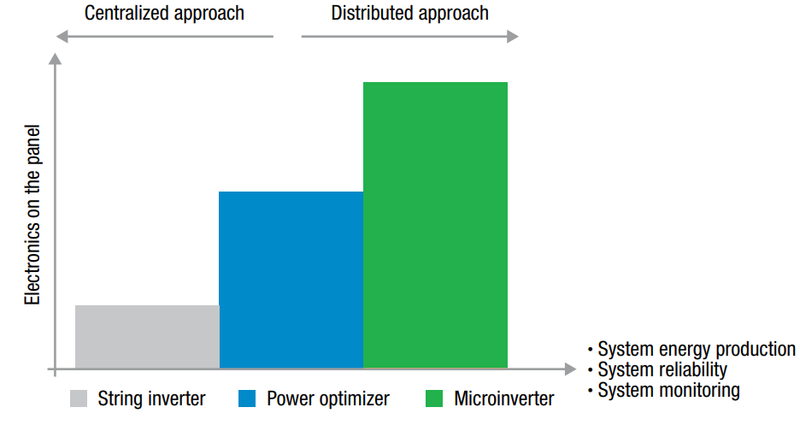 To gain in terms of global system energy production reliability, safety communication and monitoring, the trend today is to move towards the distributed approach where the electronics is partially or fully distributed close to each panel. The surplus solar power generation will be exported to the local utility grid; DISCOMS will pay consumers as per the tariff determined by the Electricity Regulatory Commission. Buy Deficit energy needs from the utility company. Sell any excess production to the utility company at the pre-decided price. 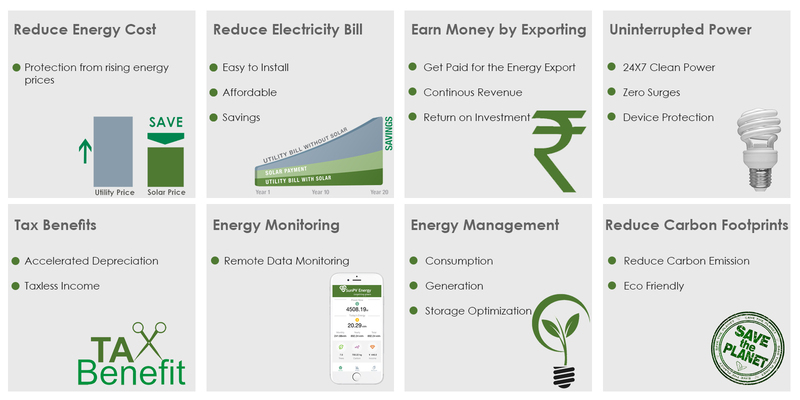 With this, the customer pays the difference amount and thus saves on energy bills. 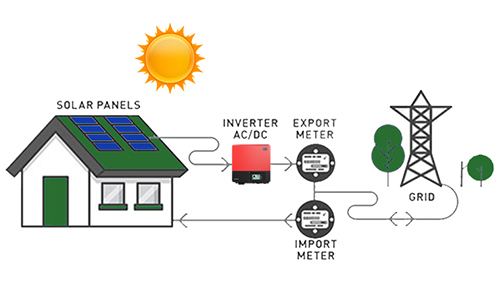 The PV system is directly connected to the utility grid. The entire output is transferred to the grid. Utility companies then provide you with credit for the energy received according to predetermined rates. Most of the states in India have discontinued this system.